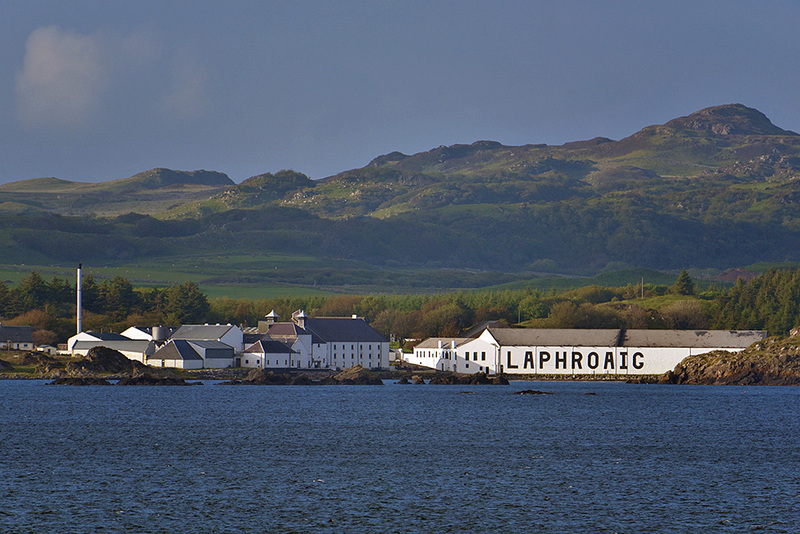 A nice view of Laphroaig distillery in the mild June evening light, seen from the passing Islay ferry to Port Ellen. The lettering on warehouse no.1 had recently been repainted, this is how it looked in June 2015. This entry was posted in Distilleries, Landscape, New Post, Sea Loch, Sunny Weather and tagged ferry, Islay, Laphroaig, Loch Laphroaig by Armin Grewe. Bookmark the permalink.